to performing pure flamenco for audiences around the world. Many new to flamenco typically ask, "What is flamenco?" This might seem like a simple question, one that could be answered with a few formulas, a short list of essential features that, taken as a whole, defines flamenco. The reality of flamenco is far from this simple, tidy picture. In truth, flamenco exists in both time and space, changing from locale to locale and from epoch to epoch. By its very nature, flamenco is full of contradictions. Flamenco is a Spanish art form passed down orally from one generation to the next, often within family dynasties, and it is constantly changing yet still retains the essential features that make it flamenco. Flamenco singing and guitar playing are not taught in music academies, though theatrical flamenco dance has been taught since the nineteenth century in dance academies. Flamenco is a way of life for those involved in it, and it has been a highly professionalized art form since the nineteenth century, presented before enthusiastic paying non-Gypsy audiences since the early years of that century. In the end, rather than trying to define flamenco, the intention here is to describe some of its most characteristic features, always realizing that for every typical element, there exists one or more exception to any rule. Flamenco is a moving target, restless, never static for long, lovingly preserving the past, yet looking expectantly toward the future. Although until the 1970s there were always two different interpretative traditions in flamenco, one Gypsy, the other non-Gypsy. Since the 1970s there has been an overwhelming triumph of the Gypsy style of flamenco. The most basic element of flamenco is the voice. Without the voice, or at least the body of song forms derived from the singing tradition, there can be no flamenco. A lone singer, accompanied only by handclaps, finger snapping or table rapping, or simply the naked voice, can be the quintessence of pure flamenco. 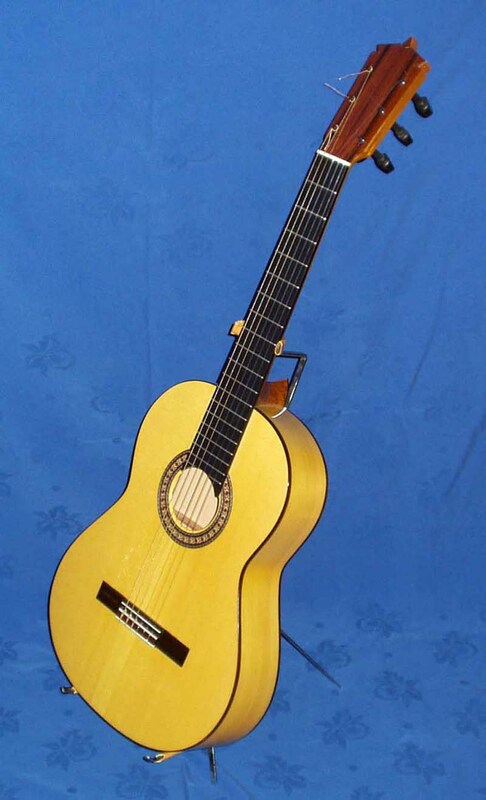 The guitar has been accompanying flamenco since the nineteenth century and has developed certain techniques and accompaniment styles in parallel with the development of the singing style. Contrary to what many foreigners believe, dance is not the motor that drives flamenco. The musical forms that the dances are set to all derive from the singing tradition. The musical structure derives in every case from song: guitar and dance are rooted in flamenco song. Click here if you want more detailed information about the origin and evolution of flamenco. Flamenco – Born out of suffering and pain. Flamenco is as much a feeling as it is an art form. It is a way of expressing oneself. To be a flamenco, one has to do more than just perform flamenco; it is a way of life. It is a way of thinking and feeling about the world and the way you relate to others. Flamenco is not the happy festive art form that many think it is. It is a sad and soulful expression of life’s tragedies. There are some happier forms of flamenco that express more joyful sentiments, but in general flamenco is always tinged with pain and suffering. It is deeply rooted in the earth of Andalusia, and in the collective soul of the Andalucian people. In the song we hear echoes of the eastern roots of flamenco. The Moorish influence is very strong. The mixture of Islamic, Jewish, Gypsy, and Spanish folk music, is what created Flamenco. Flamenco is deeper than all the wells and all the seas that surround the world, deeper than the hearts that create it, or the voices that sing it, almost infinite. It crosses the graveyard of time and the fronds of parched winds. It comes from the first sob and the first kiss. 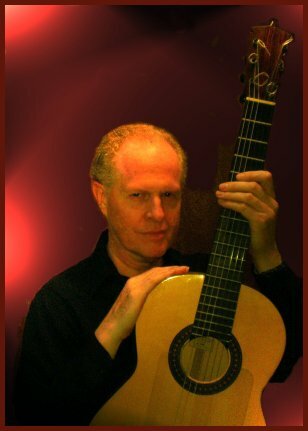 Roberto plays a Shelton-Farretta Guitar, made in Portland, Oregon USA. Click here for a picture of the guitar.